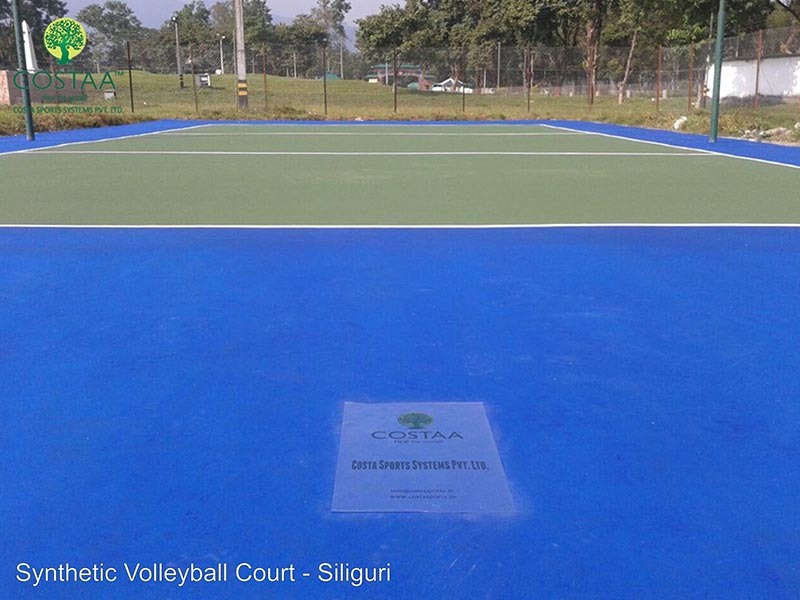 Synthetic Flooring of Volleyball Court – Costa Sports Systems Pvt. Ltd.
Court Length : 18 meters. Court Width : 9 meters. Divided into two 9 m × 9 m halves by a one-meter wide net. The top of the net is 2.43 meters above the center of the court for men’s competition. The top of the net is 2.24 meters for women’s competition (these heights are varied for veterans and junior competitions). There is a line 3 meters from and parallel to the net in each team court which is considered the “attack line”. This 3 meter (or 10 feet) line divides the court into back row and front row areas (also back court and front court). These are in turn divided into 3 areas each, starting from area “1″, which is the position of the serving player. 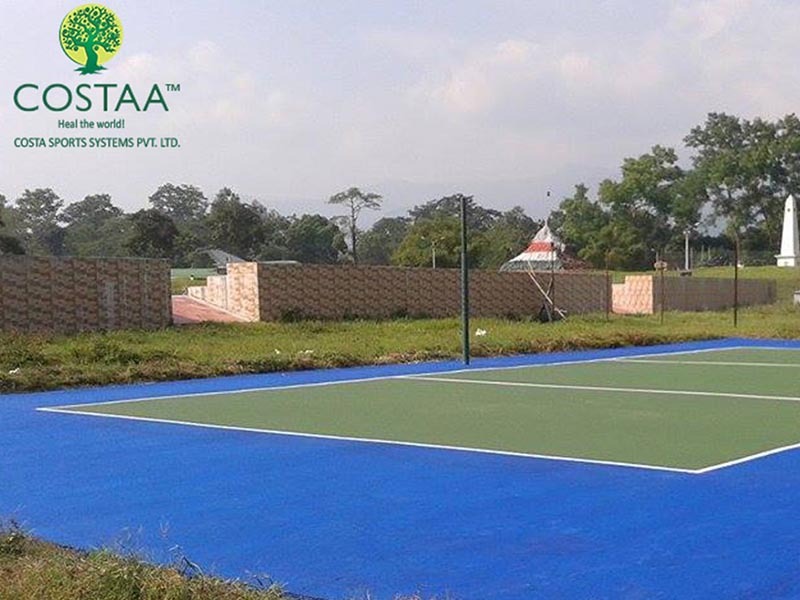 The Synthetic Surface for Volleyball Court is made out synthetic rubber with proper cushioning and hardness. 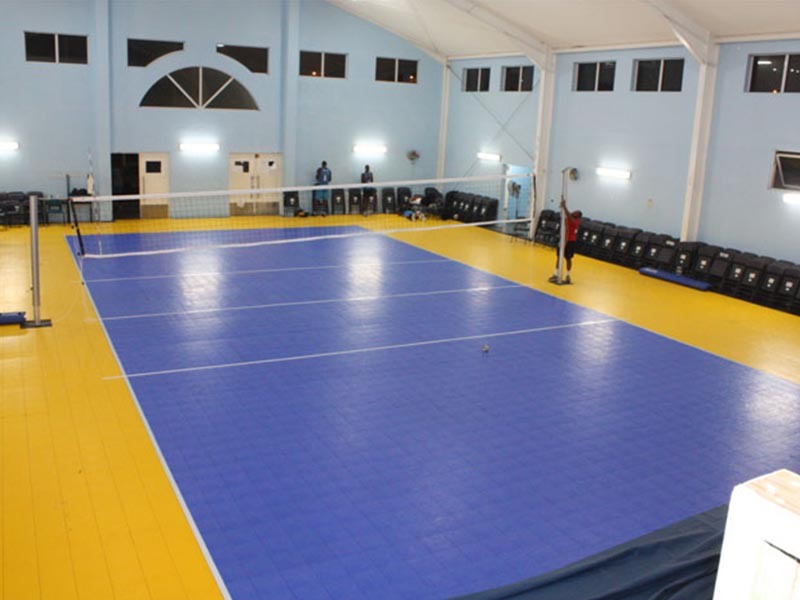 These synthetic flooring of volleyball court are anti-fungal, anti microbial and u/v resistant with a life span of 15 to 20 years. In addition these flooring are maintenance free. The system ensures that there is no impact on knees, feet, shins as well as ankles.